Special Agent Fisher is tracking Ash. Pablo gets his first taste of blood in a manic battle, and a revelation changes Kellys life forever. A mysterious woman finds the destruction at Kellys parents farm. Meanwhile, Ash, Pablo and Kelly reach Books from Beyond with the Necronomicon and Fisher finds herself in another terrifying, inexplicable situation. Ruby helps Fisher and reveals her familys connection to the Evil Dead. Ash and team follow a clue from the demon Eligos, but Kelly pays a price. Kellys current state puts others in jeopardy. This forces Pablo to make a brave move and Ash to reveal a new side to his character. Ruby and Fisher join forces in pursuit of Ash. Ash, Pablo and Kelly, now joined by Fisher, arrive at the survivalist camp in the midst of chaos and must go to extreme measures to escape. Meanwhile, more is revealed of Rubys mission. Besides the Raimi-directed pilot, other episodes in the season will be helmed by Michael J. Bassett (Solomon Kane, Deathwatch, Silent Hill: Revelation 3D), David Frazee (Orphan Black), Michael Hurst (Xena,” Spartacus), Tony Tilse (Underbelly) and Rick Jacobson (Xena,” Spartucus). 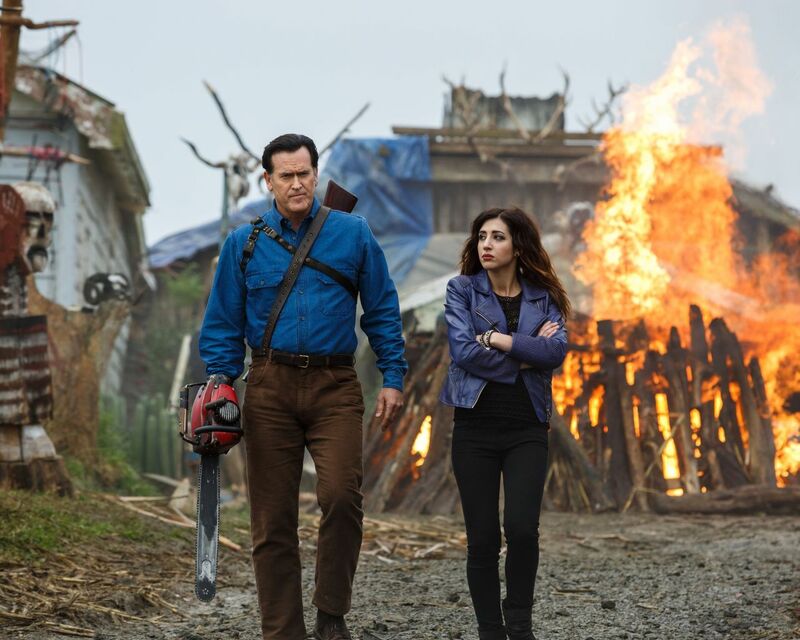 Ash vs Evil Dead is the long-awaited follow-up to the classic horror film franchise The Evil Dead. The 10-episode first season of the half-hour series executive produced by Sam Raimi, Rob Tapert and Bruce Campbell, the original filmmakers of the franchise, and Craig DiGregorio, who will serve as executive producer and showrunner. Campbell will be reprising his role as Ash, the stock boy, aging lothario and chainsaw-handed monster hunter who has spent the last 30 years avoiding responsibility, maturity and the terrors of the Evil Dead. When a Deadite plague threatens to destroy all of mankind, Ash is finally forced to face his demons personal and literal. Destiny, it turns out, has no plans to release the unlikely hero from its Evil grip. The cast is led by Bruce Campbell (Evil Dead, Burn Notice) in the role of Ash Williams, Lucy Lawless (Salem, Spartacus) as Ruby a mysterious figure who believes Ash is the cause of the Evil outbreaks, Ray Santiago (Touch, Meet the Fockers) as Pablo Simon Bolivar, an idealistic immigrant who becomes Ashs loyal sidekick, Dana DeLorenzo (A Very Harold & Kumar 3D Christmas) as Kelly Maxwell, a moody wild child trying to outrun her past and Jill Marie Jones (Sleepy Hollow) as Amanda Fisher, a disgraced Michigan State Trooper set to find our anti-hero Ash and prove his responsibility in the grisly murder of her partner. 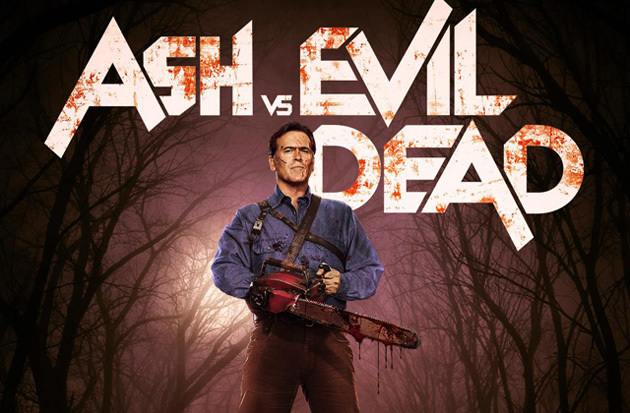 Raimi is directing the first episode of Ash vs Evil Dead that he wrote with Ivan Raimi (Darkman, Army of Darkness, Drag Me to Hell), and Tom Spezialy (Chuck, Reaper, Desperate Housewives). Raimi will also serve as executive producer, with Rob Tapert (Evil Dead, Spartacus, Xena: Warrior Princess) and Bruce Campbell (Evil Dead, Burn Notice) along with Craig DiGregorio (Workaholics, Chuck) who will serve as executive producer/showrunner. Ivan Raimi will co-executive produce and Aaron Lam (Spartacus) and Chloe Smith (Spartacus) will serve as producers.